Born in New York, raised in Toronto, Jill Culiner has lived in England, Holland, Greece, Turkey, Germany and Hungary, keeping body and soul together by delivering newspapers, belly dancing, translating, tour guiding and a great many other tedious jobs. She presently resides in a small French village, similar to the not very pleasant one presented in her mystery, Slanderous Tongue. For her non-fiction work, Finding Home in the Footsteps of the Jewish Fusgeyers, she crossed Romania on foot tracing the path of immigrants bound for North America at the end of the 19th century. The book won the Tannenbaum Prize for Canadian Jewish History in 2005 and was short-listed for the ForeWord magazine prize. As a photographer, her exhibition concerning the Born in New York, raised in Toronto, Jill Culiner has lived in England, Holland, Greece, Turkey, Germany and Hungary, keeping body and soul together by delivering newspapers, belly dancing, translating, tour guiding and a great many other tedious jobs. She presently resides in a small French village, similar to the not very pleasant one presented in her mystery, Slanderous Tongue. As a photographer, her exhibition concerning the First and Second World Wars, La Mémoire Effacée, has toured France, Canada and Hungary under the auspices of UNESCO and the French Ministry of Foreign Affairs. As an artist/creator of social critical objects, her work has been exhibited throughout France and Germany, in Spain, England, Switzerland and Poland. It now fills La Boule d’Or, a former café/hotel transformed into a peculiar mini museum open to the public. Its wild garden (much to the distress of close neighbours) is a reserve for birds, butterflies, insects and reptiles. 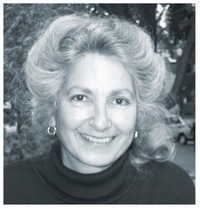 She has spoken to genealogical and historical groups throughout the United States and Canada, has worked as a broadcaster for Radio France. An amateur musician (flute, piccolo, oboe, oboe d’amore, English horn) she plays in several orchestras and chamber groups. To ask Jill Culiner questions, please sign up. Jill Culiner There's one moment Aldous Huxley describes in the very beginning of Chrome Yellow: his hero, the young poet Denis, is on a train; "Along this…moreThere's one moment Aldous Huxley describes in the very beginning of Chrome Yellow: his hero, the young poet Denis, is on a train; "Along this particular stretch of line no express had ever passed. All the trains — the few that there were — stopped at all the stations... Camlet was where he always got out, leaving the train to creep indolently onward, goodness only knew whither, into the green heart of England." The year is 1921; England is still a place of beauty with its green hedgerows and lovely cottages; the horrors of WWI are over and no one forsees WWII. This is a time of fine literature, brilliant musical composition, artistic experiment, and architecture is still both exquisite and intelligent. And Denis is on his way to a splendid old country house where he will meet with cranky literary figures and eccentrics. These few promising moments in a train chugging into that vanished world, are the ones I would like to experience — just to anticipate, and to see, feel, hear, smell how things were. 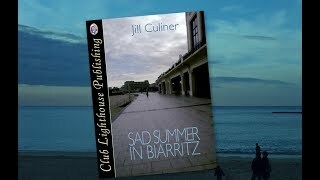 I’m very pleased to be sharing with you today a guest post from Jill Culiner, author of Sad Summer in Biarritz. We’d love your help. Let us know what’s wrong with this preview of Sleeping with the Lights on by Brenda Whiteside. We’d love your help. Let us know what’s wrong with this preview of Cold Comfort Farm by Stella Gibbons. We’d love your help. Let us know what’s wrong with this preview of Going Solo by Tara Mills.
" Sandra wrote: "#567 done." Thank you so much for your help, Sandra. " " They state, quite clearly, on Book Viral, that no review is free. Strange, that you didn't pay for yours. How did you manage it? "